Political reform has almost always been caused by extreme situations and governmental corporation. A case study that shows the reason of political reform is the Progressive Era led by President Theodore Roosevelt. The Industrial Revolution caused many problems that cried out for resolution and reform. The exploitation of people and resources has come to a point where if actions had not been taken to ease and contain the harsh injustices in society a rebellion would be inevitable. This conflict is referred as the war between "capitol and labor". 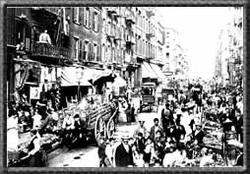 Social activism and political reform flourished during the progressive era because of the corrupt government, crooked political machines and bosses, and the inefficiency in every governmental sector. Theodore Roosevelt became the president at the dawn of the Progressive Era. He took a strong stance against the monopolization of corporations. He believed that the killing of competition, killed innovation ruining the balance of a capitalist society. President Roosevelt passed the Sherman anti-trust act, the railroad regulation, and standard oil. He also passed the Pure food and drug act of 1906. 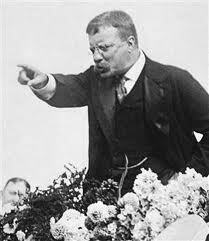 Theodore Roosevelt had a vision and a goal of America becoming the worlds greatest country and took many steps to achieve this goal. The political and social values portrayed by the French Revolution have had an enormous impact on the development of national constitutions over the past two centuries. In 1789 The National Assembly adopted a statement of revolutionary, Enlightenment ideals, called "The Declaration of the Rights of Man and of the Citizen." The document stated that men are born equal, and that they possess basic rights that include liberty, equality, security, and resistance to oppression. When the Assembly passed the new constitution, the constitution created what was called a limited constitutional monarchy, which took most of the king’s authority, only leaving him the power to enforce laws. 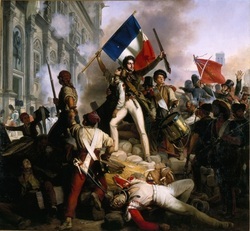 However, not all of the political reforms that arose from the French Revolution were successful. In fact, many were downright catastrophic. The Reign of Terror began when Maximilien Robespierre took power over France as the leader of the Committee of Public Safety. The Committee of Public Safety’s primary objective was to protect the revolution from outside forces. However, Robespierre took matters to such violent extremes that he began to lose the faith of the people. One example of this is his fondness and widespread use of the guillotine to eliminate those suspected to be enemies of the Revolution. Robespierre justified his actions by saying that the guillotine was a tool used to insure loyalty to the ideals of the revolution. The Reign of Terror ended when some members of the National Convention turned on Robespierre, they wanted his arrest and execution. Robespierre went to the guillotine on July 28, 1794.